The Chevy Impala has been associated with the lowrider subculture since its inception, and it's easy to see why. 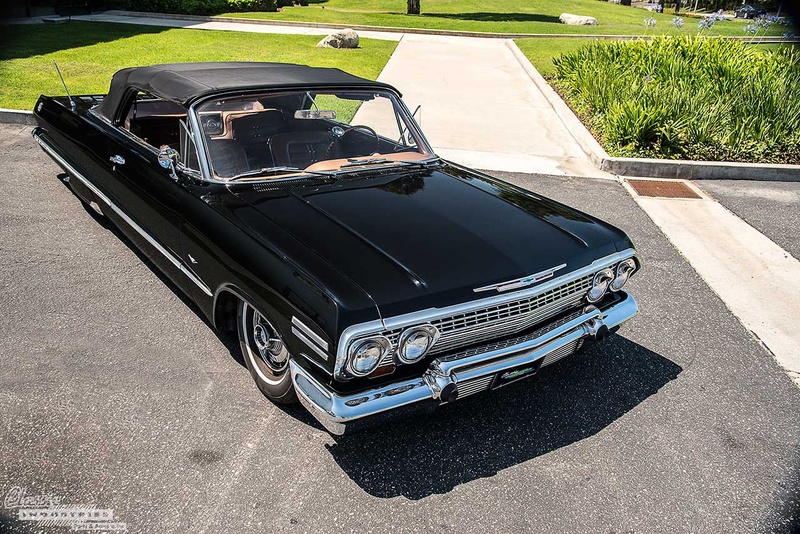 With its long, elegant body, abundant chrome trim, powerful V8 engine options, and smooth ride, the Impala was born to cruise and look good doing it. Hydraulics have always been popular in the lowrider scene, but the development of modern air suspension systems provides a smooth-riding alternative to hydros. If you're a car enthusiast, especially a classic car enthusiast, you'll no doubt know that air suspension can be a controversial modification. Some people love the ability to tuck big wheels and adjust ride height on the fly, while others claim air suspension degrades what would otherwise be a nicely restored classic. No matter your stance, it's hard not to appreciate a car with air suspension that looks this good. 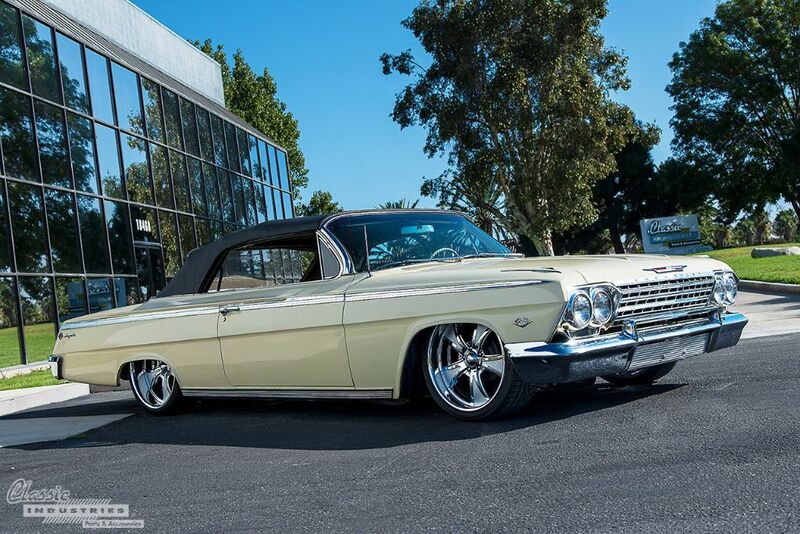 Eric Sass, the owner of this '62 Chevy Impala convertible, embraced the controversy by purchasing the car in mostly restored condition, then swapping the stock wheels and suspension for a set of 'bags and deep-dish billet wheels.